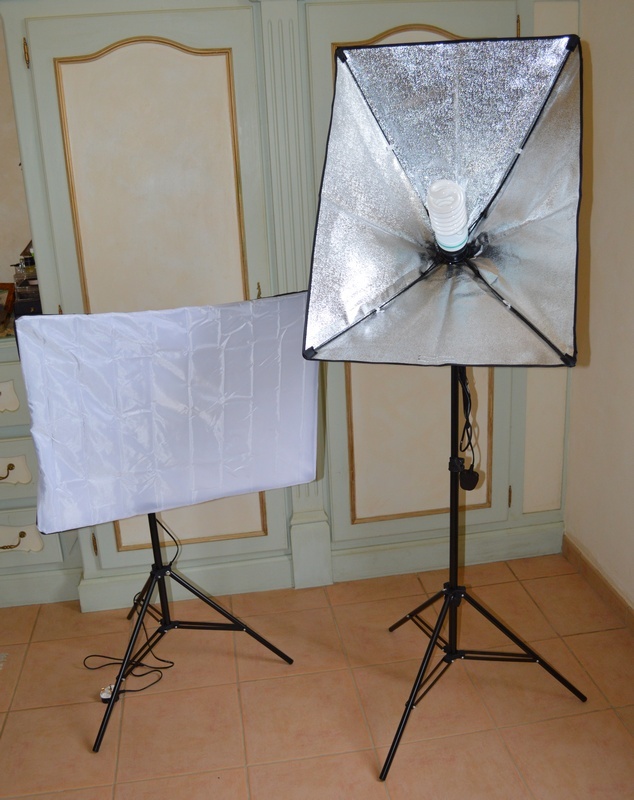 I received these softbox photo lights (Style 2) at no cost for evaluation and review purposes, and I never imagined I would use them so often. 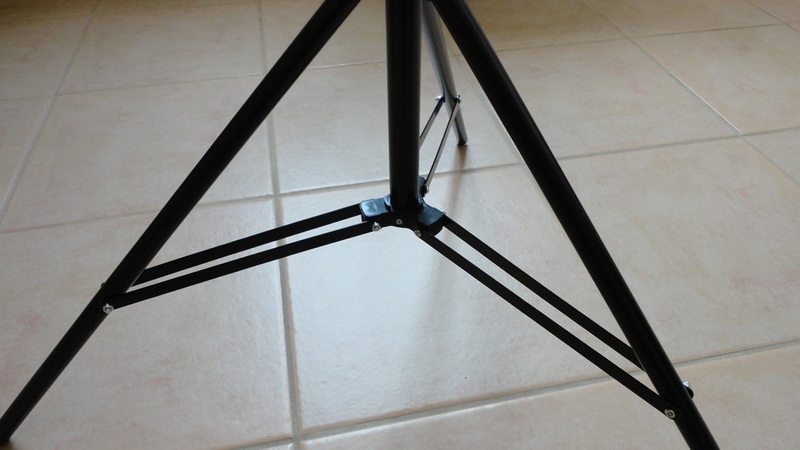 Part of the reason is that they are so easy to move, and so adjustable. The various components arrived very well packed and protected (especially the huge light bulbs) and it was really easy to assemble the stands and the light boxes. 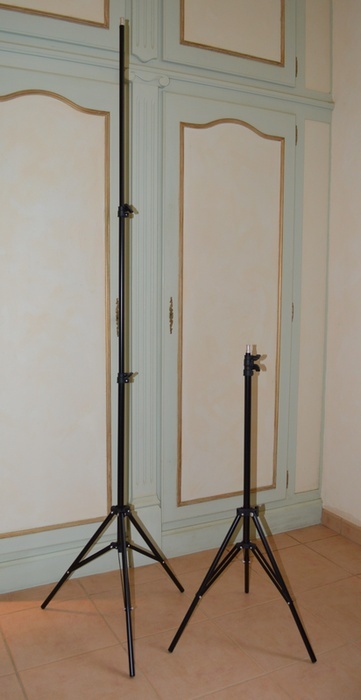 The tubular stands are very similar to tripods with a telescopic action that extends the central pole to well over 7 feet, although I can't imagine ever needing that height. The three feet give good stability for the units, but you need to move carefully around them as they can be toppled quite easily. The rectangular softboxes open like umbrellas and can be positioned either in portrait or landscape mode. They are lined with reflective silver material providing strong (hard) light (each fluorescent bulb is rated 135 watts); a white translucent fabric screen can be easily secured to the edges with velcro strips, softening and diffusing the light without reducing the intensity too much. The power cables are 1.5 m long (5 feet) with a regular 3-pin plug at the wall end and a simple On/Off toggle switch by the box (no option to modulate the intensity). Once in place the boxes can be tilted and angled at will and they emit very even white light which approximates daylight. 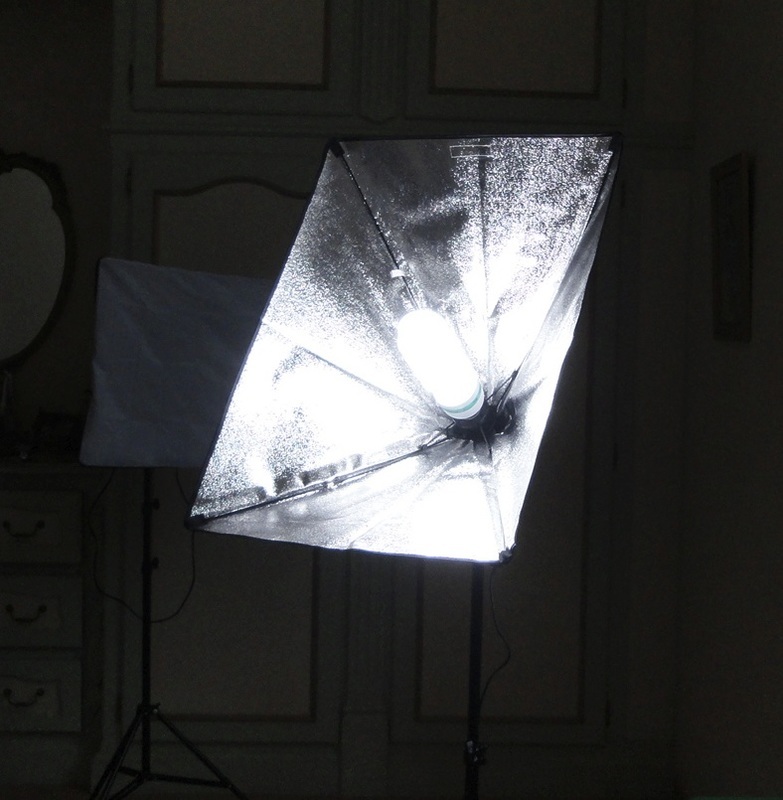 Obviously having two of these in the kit means that your subject can be illuminated beautifully with the combined output. 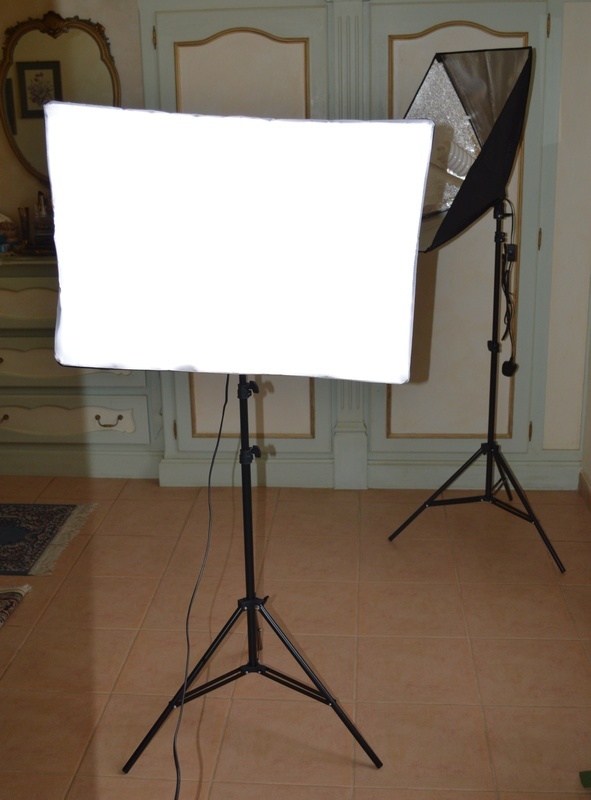 Initially I anticipated folding away the lights and storing them in their original box between uses (nylon sleeves are included for the softboxes but not the stands), but we use them so often that it seems easier to just move them to a corner of the room (okay, my house is not the tidiest). Also I prefer not to handle the light bulbs any more than necessary, as it would be tragic if they broke and a real mess to clean up. 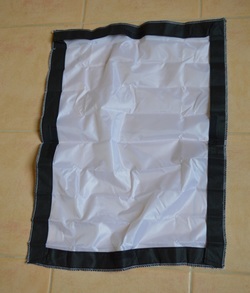 If you have children and pets, who might upset the stands, you will have to decide how best to protect your investment. I used to spend a lot of time retouching photos to try and improve low light values, but these softboxes have completely eliminated the need for that. 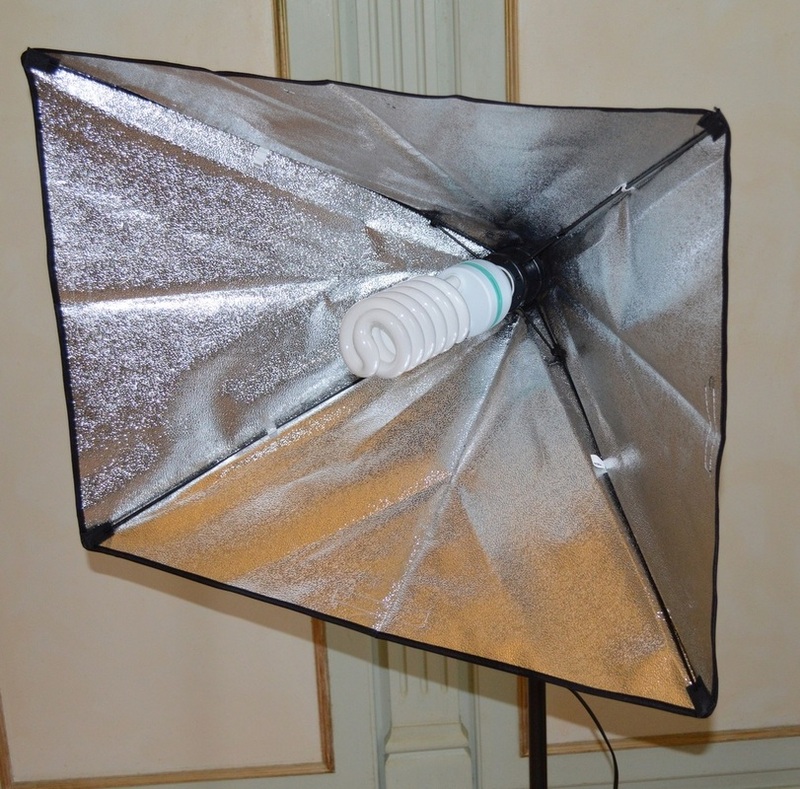 They are brilliant for studio work, portrait photography and to make objects stand out. 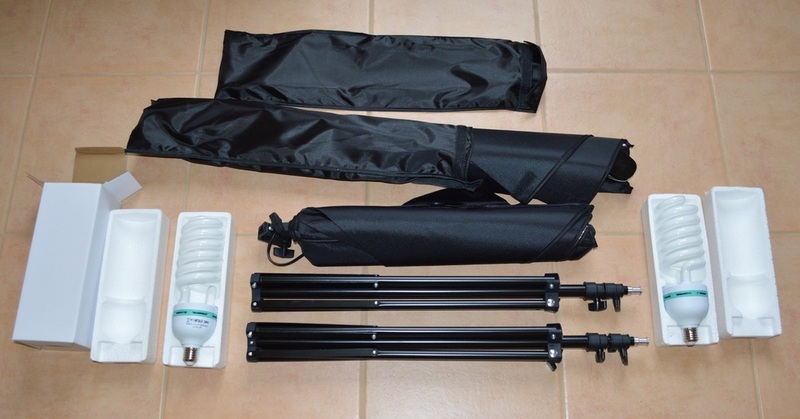 I'm sure a more expensive professional set would be sturdier, but these are perfectly adequate for the needs of amateur photographers like me, and I think they represent an excellent compromise between cost and performance. 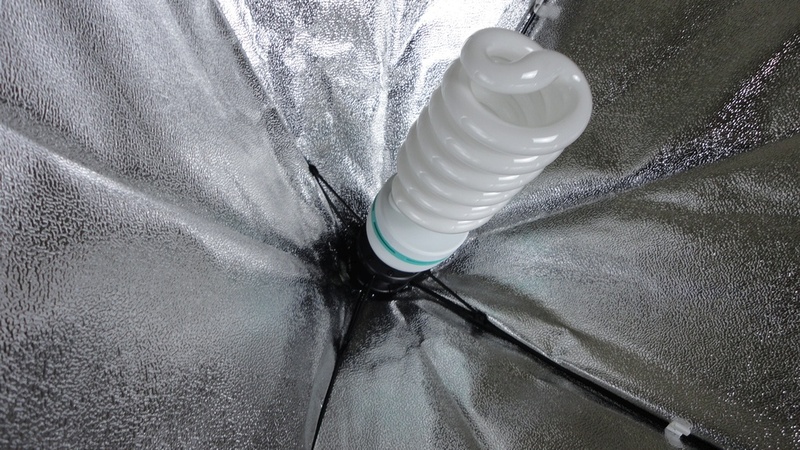 The light produced is excellent and, if you treat them with basic care, they should last well.